The Complete Fiction of H.P. Lovecraft collects the author's novel, four novellas, and fifty-three short stories. 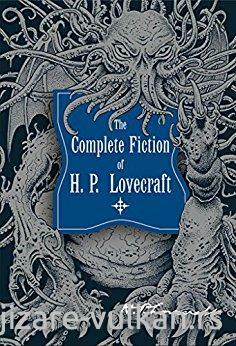 Written between the years 1917 and 1935, this collection features Lovecraft's trademark fantastical creatures and supernatural thrills, as well as many horrific and cautionary science-fiction themes, that have influenced some of today's writers and filmmakers, including Stephen King, Alan Moore, F. Paul Wilson, Guillermo del Toro, and Neil Gaiman. 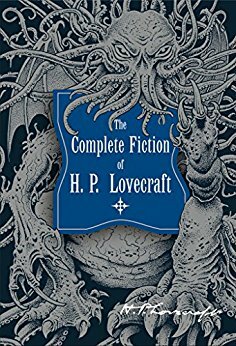 Included in this volume areThe Case of Charles Dexter Ward, "The Call of Cthulhu," "The Dream-Quest of Unknown Kadath," "At the Mountains of Madness," "The Shadow Over Innsmouth," "The Color Out of Space," "The Dunwich Horror," and many more hair-raising tales.